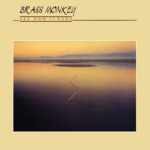 The CD is a compilation of the two Brass Monkey LPs Brass Monkey (tracks 1-9) and See How It Runs (tracks 10-18). Tracks 1-9 published Gama Records, © Topic Records 1983. Produced and recorded by Jerry Boys at Livingston Studios, London. Tracks 10-18 published and © Topic Records 1986. Produced and recorded by Tony Engle at Ideal Sound Recorders, London. This collection © Topic Records 1993. The track numbers are those of the CD reissue The Complete Brass Monkey . 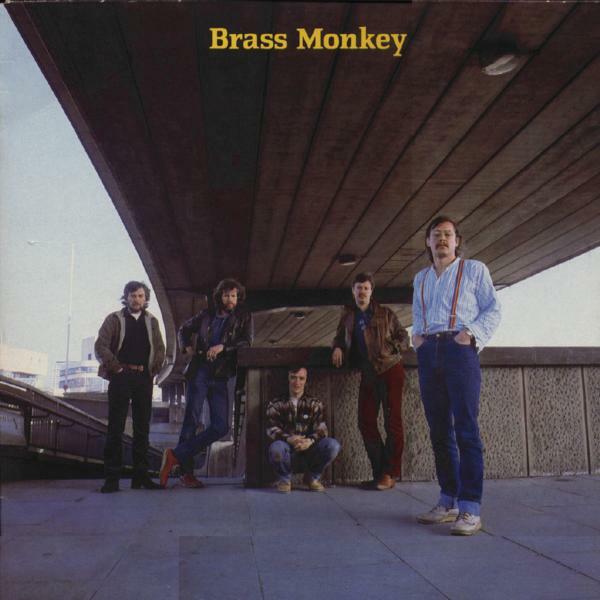 BRASS MONKEY's brief career during the first half of the 1980s represents an important milestone in the world of British folk music. The quintet boasted a most unusual line-up trumpet and trombone, various squeezeboxes, guitar or mandolin and percussion. In full flight, these acoustic instruments blasted out a wild, gloriously unique sound the most exciting folk rock since the heyday of Fairport Convention and Steeleye Span. 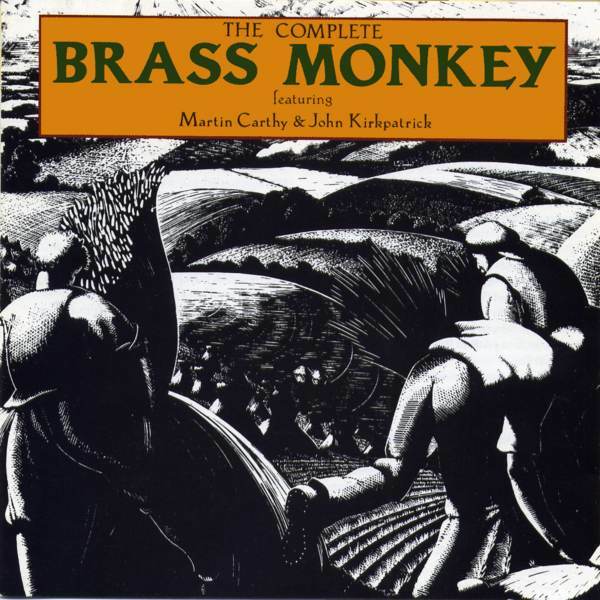 The original line-up of Brass Monkey united Martin Carthy and John Kirkpatrick, two stalwarts of the folk scene, Howard Evans and Roger Williams, two sought-after classical and theatre brass players with country dance percussionist Martin Brinsford. Martin Carthy has long been regarded as one of the principal figures in the British folk revival, his voice and guitar being two of the most consistent and distinctive sounds on the scene. It is well documented elsewhere that Carthy's early work was an influence on Bob Dylan and Paul Simon. Carthy's recording career stretches from a 1963 EP by the Thamesiders, through the influential 1960s recordings with Dave Swarbrick, two of the earliest and finest albums by Steeleye Span, the Albion Country Band's Battle of the Field , three remarkable records with the Watersons, to the recent Life and Limb and Skin and Bone once again in partnership with Mr. Swarbrick. The two albums with Brass Monkey are seen by many as the high points to date of this distinguished discography. John Kirkpatrick - remarkable British king of the squeezebox - has had a similarly illustrious and diverse career. The span of Kirkpatrick's work is quite astounding: solo work, the duo with Sue Harris, a member of ensembles like the Albion Country Band, Steeleye Span and Umps and Dumps, morris dancer, accompanist to Richard Thompson and an enormous amount of session work. Howard Evans and Roger Williams are both highly-experienced veterans of the London West End theatre and classical orchestras. Howard's musical career began in the band of the Welsh Guards and the London Symphony Orchestra. Roger had played the gamut from the 20th century avantgarde to sessions with Shirley Bassey and Sammy Davis Jnr. Both were members of the Albion Band during its tenure at the National Theatre on London's South Bank, and were to be instrumental in forming the Home Service in 1981. Martin Brinsford's background lay in country dance playing for ceilidhs. He had been a member of the Tangent Band, the Old Swan Band and in the original line-up of Edward the Second and the Red Hot Polkas. The roots of Brass Monkey can be traced back to a number of projects during the 1970's which brought Carthy and Kirkpatrick together. In 1973 they were invited to join the Albion Country Band, the then current version of a long-running series of Albion bands led by Ashley Hutchings. During a brief career the band recorded Battle of the Field , an overlooked masterpiece, denied a release until 1976. That same year John Kirkpatrick assembled a strong cast to record a collection of Cotswold morris tunes Plain Capers . John was joined by Sue Harris (oboe and hammered dulcimer), Martin Carthy (guitar), Martin Brinsford (mouth-organ and tambourine) and Fi Fraser (fiddle). Both Brinsford and Fraser were members of the influential country dance ensemble the Old Swan Band. Where Morris On had rejuvenated the performance of Morris dance tunes by introducing electric instruments, Plain Capers sought the same level of excitement by exuberant ensemble playing. In 1978, they both worked in the National Theatre production of Flora Thompson's Lark Rise , with the Albion Band. During that time the Albions became a semi-resident house band at the National Theatre for a number of Bill Bryden's productions. The band's membership expanded according to the demands of each play. Soon established as a mainstay of the ensemble was trumpeter Howard Evans. Martin Carthy invited Evans to add his distinctive trumpet playing to three of the songs he was recording for his Because It's There album. By 1982 when Martin Carthy recorded Out of the Cut the possibilities of expanding the trio to a five piece ensemble had already been tried out on a number of gigs. In fact, in early 1983, a fortnight's tour involved: duo dates of Carthy and Kirkpatrick; a trio of Brinsford, Carthy and Kirkpatrick; quartets of the two Martins, Howard and John or Carthy, Evans, Kirkpatrick and Williams and some dates involved all five! Although their individual work suggested much for the ensemble, those who had not been fortunate enough to attend any of the sporadic live appearances were probably unprepared for the majestic power of the debut album. Brass Monkey was greeted with universal praise and was well placed in critic's year-end polls. Due to the difficulties in earning sufficient fees to support a large group on the folk circuit, and the members individual hectic work schedules, Brass Monkey as a band continued to appear only sporadically. It was to be a full three years before the release of their second album, See How It Runs . Due to his many other work engagements Roger Williams had gradually relinquished his place in the band to Richard Cheetham, another well-known trombonist in London theatre orchestras, and a noted sackbut player in Early Music circles. Where Brass Monkey had captured the ensemble's live repertoire onto vinyl, See How It Runs was largely a collection of newly rehearsed pieces. In a recent interview Martin Brinsford remembered the recording of the second record as a little nerve-racking: “We each came along with suggestions for the band to play; as I remember it now, we'd learn a song one day and record it the next.” See How It Runs garnered praise equal to the earlier recording. Let's leave the last word to legendary American multi-instrumentalist David Lindley. In a 1984 interview with Swing 51, Lindley likened their impact to his first hearing bluegrass or Okinawan music: “I heard them at the Cambridge Folk Festival when I played there. When they went on stage, I said `this is going to be good. Look at the instrumentation.' It was the most exciting thing I'd heard in ten years. "